glominerals makeup – now available! Makeup that covers, corrects and protects. glominerals is an award winning makeup system that has been uniquely formulated for skin care professionals and their skin-conscious clientele. The makeup line combines pharmaceutical-grade ingredients, natural high-pigment minerals and the power of anti-oxidants. This cutting edge combination results in a clinically advanced mineral makeup that perfects your skin. 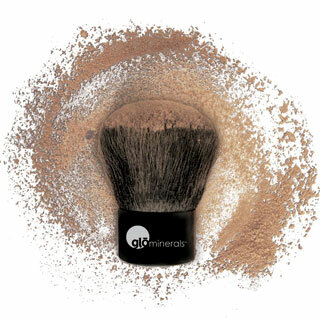 glominerals cosmetics are award-winning mineral formulations that nurture, protect and heal the skin while providing flawless coverage. theSANCTUARY’s makeup professionals can help you select the glomineral foundation colors that work best with your skin and the color palette that best fits your personality. Contact us today to schedule a makeup application or lesson today!